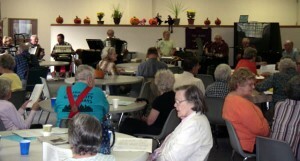 We are located at 587 E. State St. (Hwy 11 West), Burlington, WI 53105. 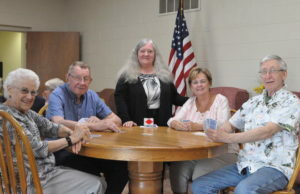 Shirley Hammes, Jim Cramer, BSC administrator Gail Boydstun, Joyce Dreis and John Brensinger playing Pinochle. Volunteer musicians play music every 3rd Wednesday from 1-3pm.